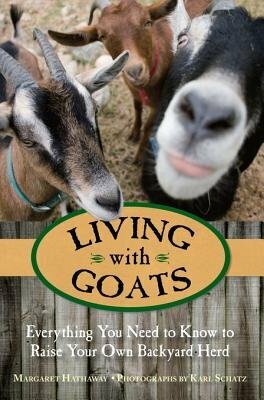 In the newest addition to the successful "Living With" series, Hathaway and Schatz let readers in on everything they need to know about how to raise one - or twenty - goats in their own backyards. Readers will discover how to raise goats either for milk, meat, or companionship, and how to shelter and care for their pets depending on the breed (whether they're eventually going to eat them or invite them into their family circle). Between the friendly advice, first-hand wisdom, and hilarious stories, "Living With Goats" reassures readers that raising goats is a rewarding and sustainable endeavor well worth their while.